If there’s one thing that always gives me a little boost, it’s spending time with my girlfriends. Good friendships make us happier and healthier, so it seems to me that I don’t need any excuses for a Girls Night In. Here are some of my all time favourite things to do with the girls! 2. Head over to YouTube for some new makeup tutorials and give each other a new look! I’m still trying to master the Strobing look, but I know that the girls will love to help me out! 3. Once dolled up, get the giggles by filming a DubSmash of your favourite film quotes. The budding Hollywood actresses amongst us can even win a walk in part in Pitch Perfect 3 by visiting www.pitchsmashuk.com and creating a Dubsmash before sharing online with #PitchSmashUK! Click here for all the T&Cs. 4. Stock up the cupboards with baking goodies, and get the girls round to attempt to invent the next ‘Slutty Brownies’ sensation. If all else fails, just shove everything in the cupboards into a cupcake mixture. Popcorn and Popping Candy cupcake anyone?! 5. Throw a 90s themed sleepover complete with boy gossip, face masks and manicures, and season one of the O.C. Just add wine. 6. Take out all of your Grown-Up stress on a piñata filled with yummy treats!! 8. Organise some girly games! Whether it’s Articulate or Never Have I Ever, it’s a fun way to have a giggle and learn some secrets about your friends! 9. Bring in the experts! There are tons of apps out there that enable you to get a massage therapist or nail technician over to your house, why not club together and book in some treatments! 10. Have a girlie chick flick Marathon! Every attendee has to bring their favourite film, and once you’re all tired out from the other antics, just stick on a film, feet up, and relax! 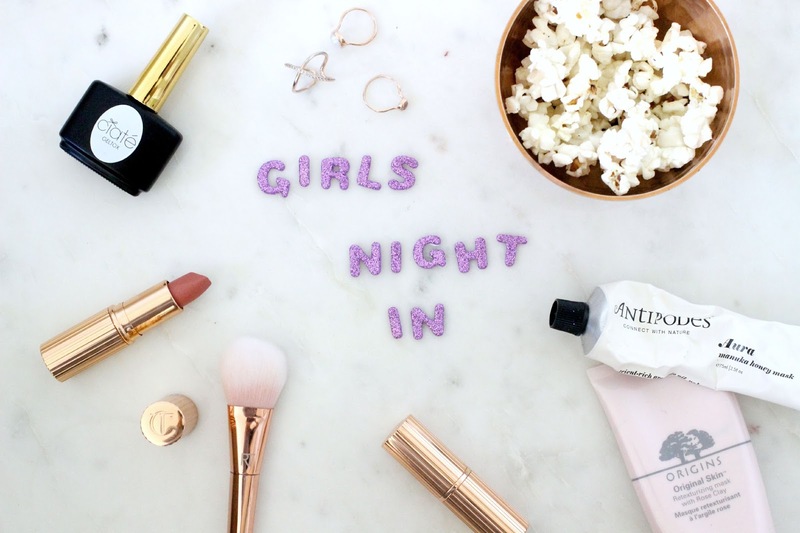 What do you love to do on your girls night in?